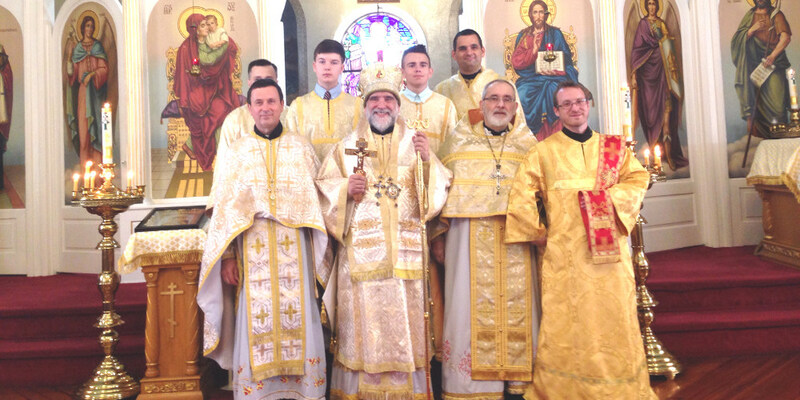 The weekend of 5-6 August 2017 was inspirational and memorable for the Orthodox faithful of Saint John the Baptist Church in Alpha NJ, marked by the Archpastoral visit of His Eminence, Archbishop Michael. It was the great feast-day of the Transfiguration of our Lord and a time to gather in prayerful gratitude for the many blessings God bestows on the parish. Of special joy was the presence of Father Joseph Chupeck, former rector of the church. 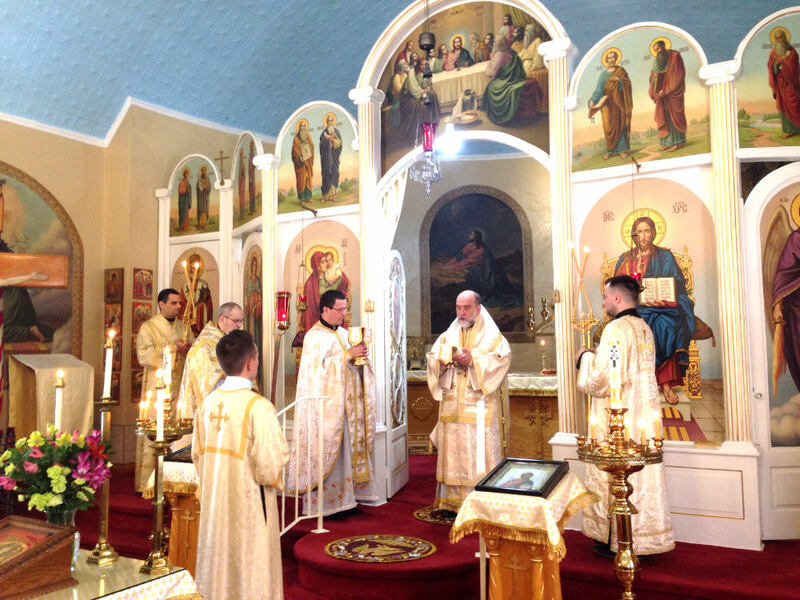 After the festal Liturgy on Sunday with the traditional blessing of fruit, His Eminence had a dialogue with parishioners during which he shared experiences about his recent pilgrimage visit to the Holy Land. A celebratory festal dinner followed in the rectory.